In 1800, 13-year-old Pierre La Page never imagined he'd be leaving Montreal to paddle 2,400 miles. It was something older men, like his father, did. 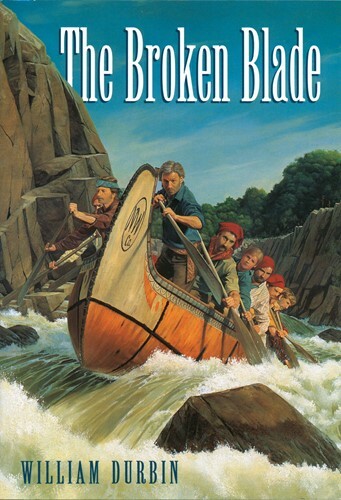 But when Pierre's father has an accident, Pierre quits school to become a voyageur for the North West Company, so his family can survive the winter. It's hard for Pierre as the youngest in the brigade. From the treacherous waters and cruel teasing to his aching and bloodied hands, Pierre is miserable. Still he has no choice but to endure the trip to Grand Portage and back. From the Trade Paperback edition.